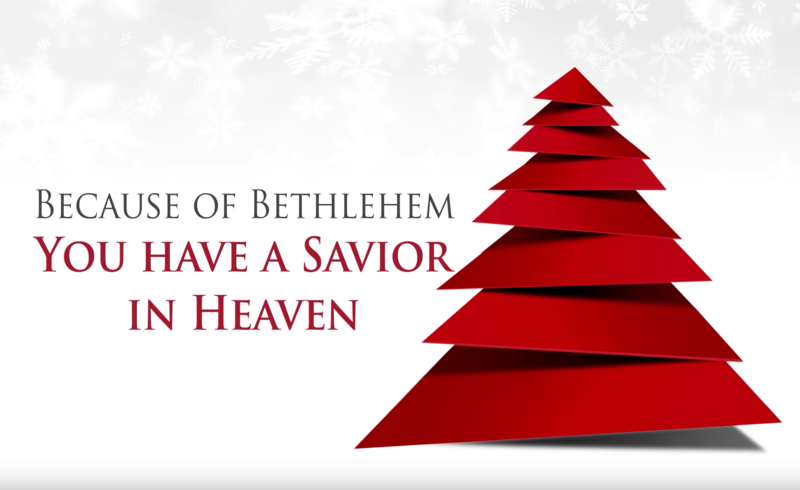 It brings sleigh bells ringing and carolers singing. 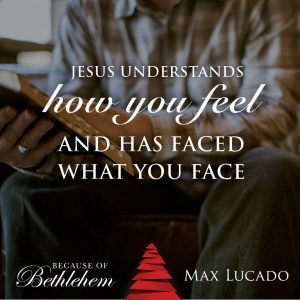 And sometimes it brings heartache and hurt feelings. 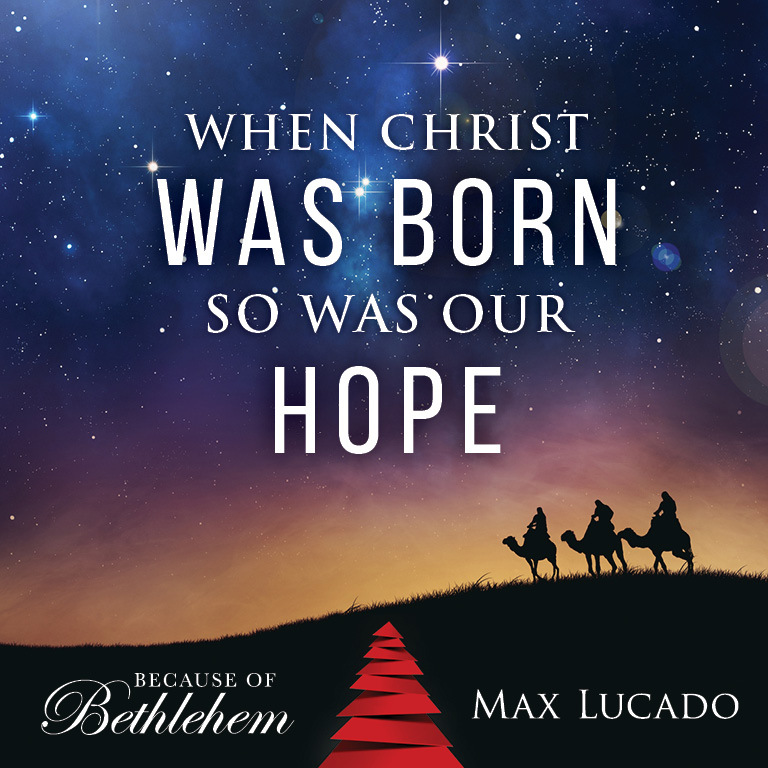 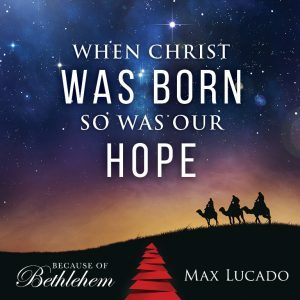 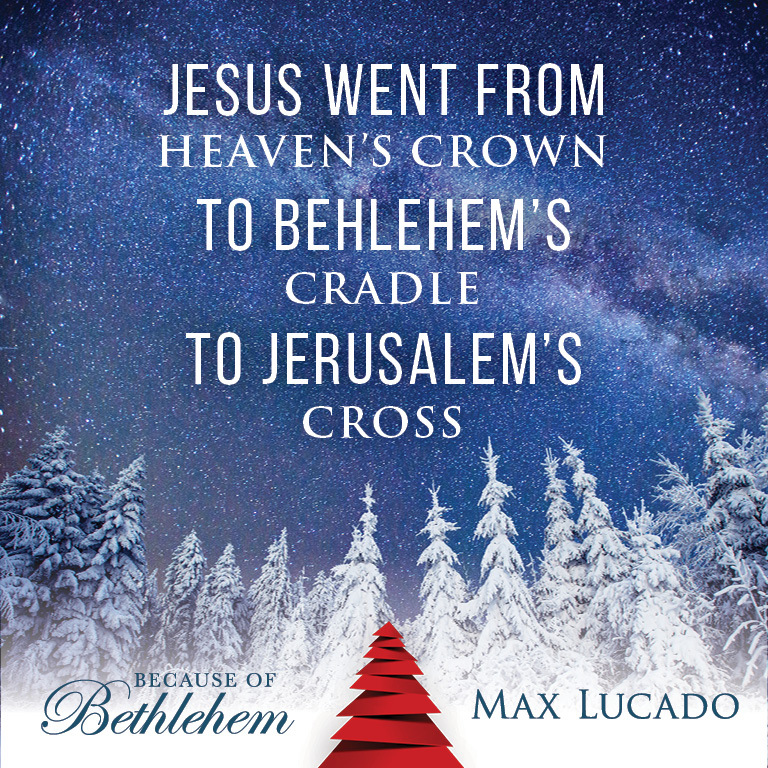 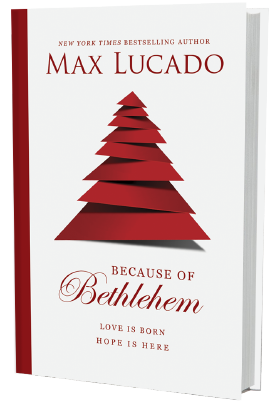 If you could use some true Christmas this Christmas, join Max Lucado as he unpacks the enduring promises of Christmas and discovers a lifetime of hope because of one baby born in Bethlehem. 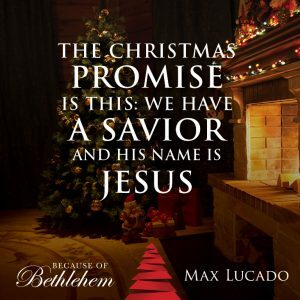 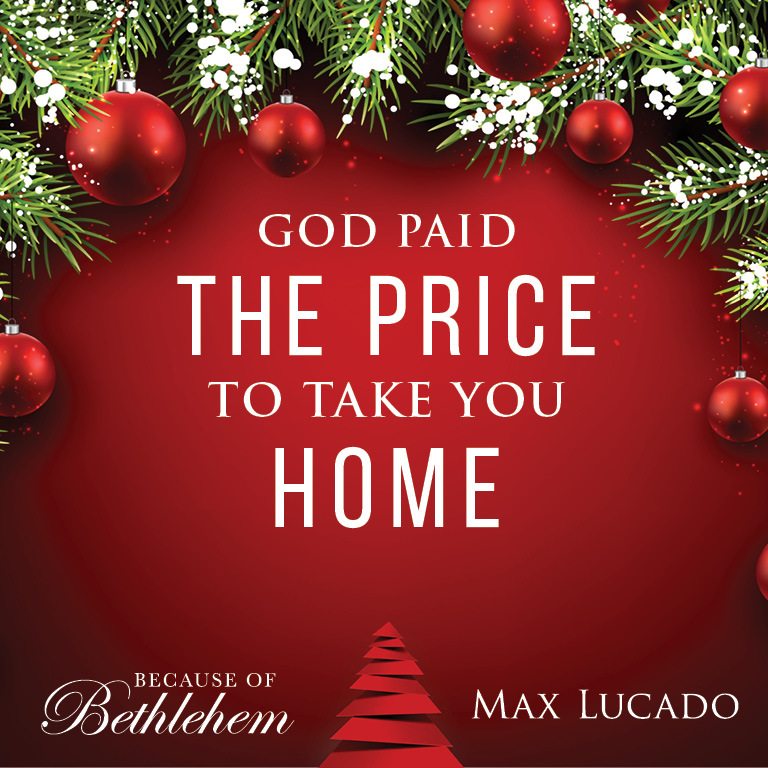 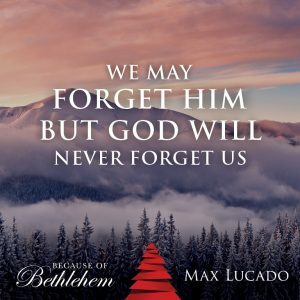 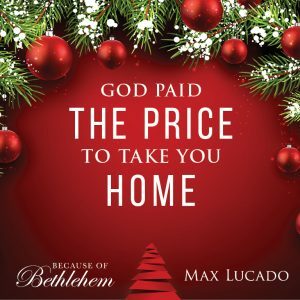 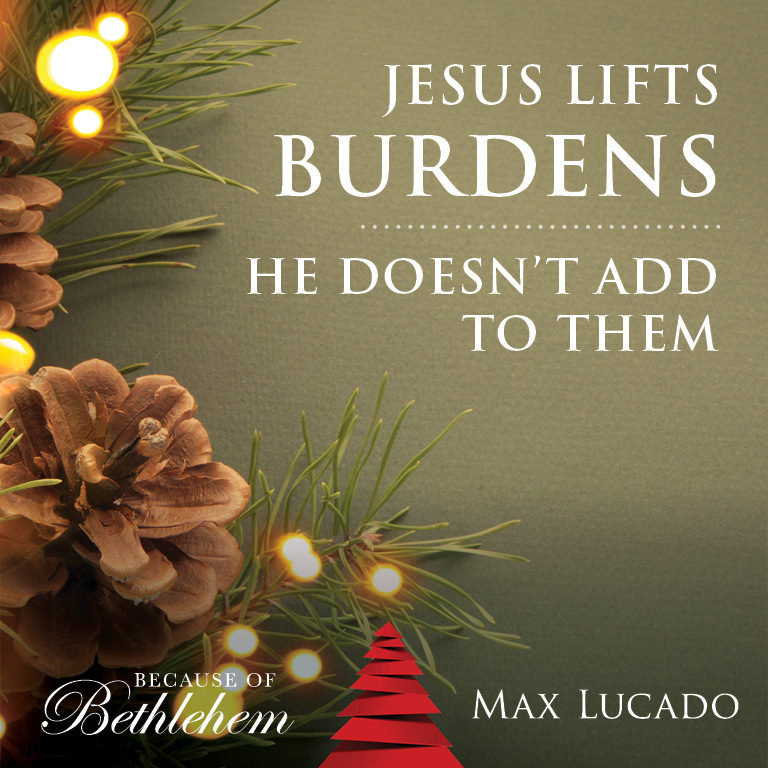 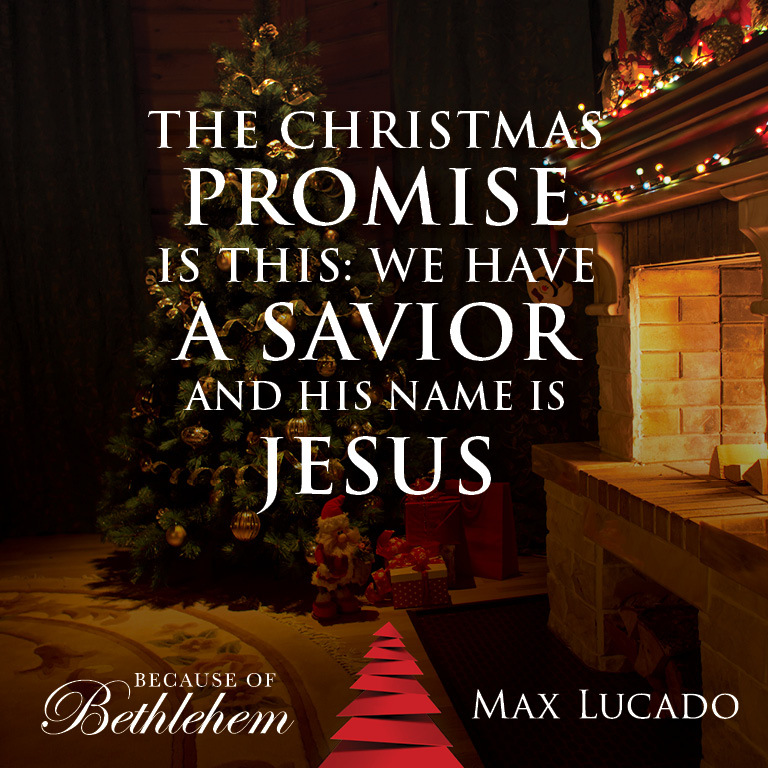 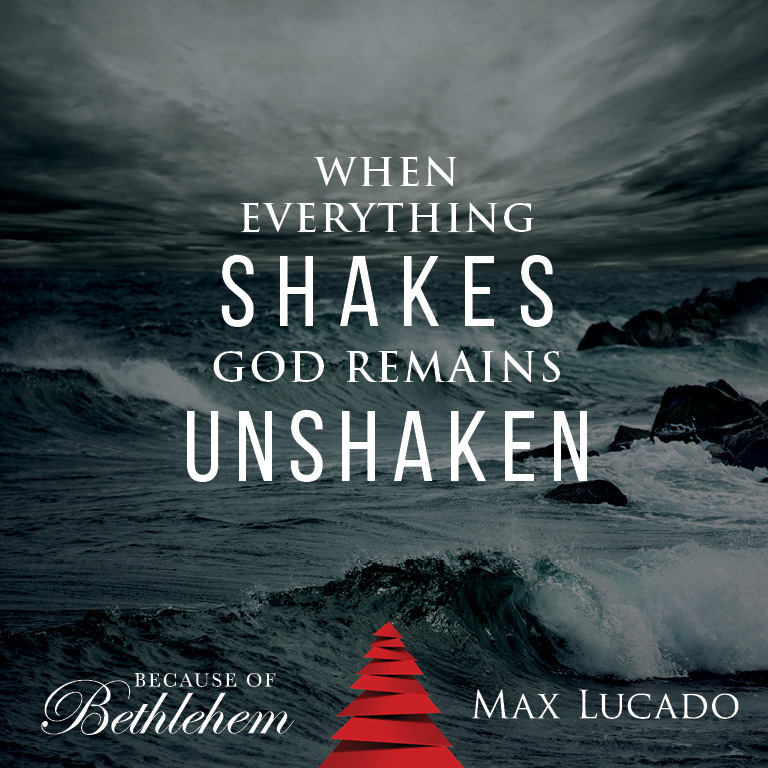 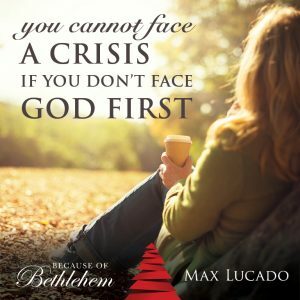 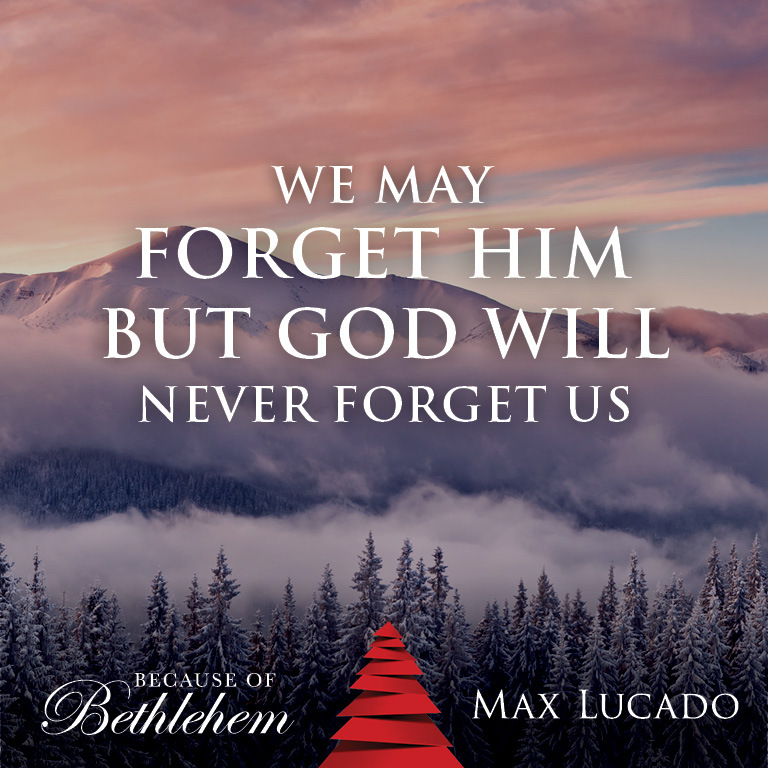 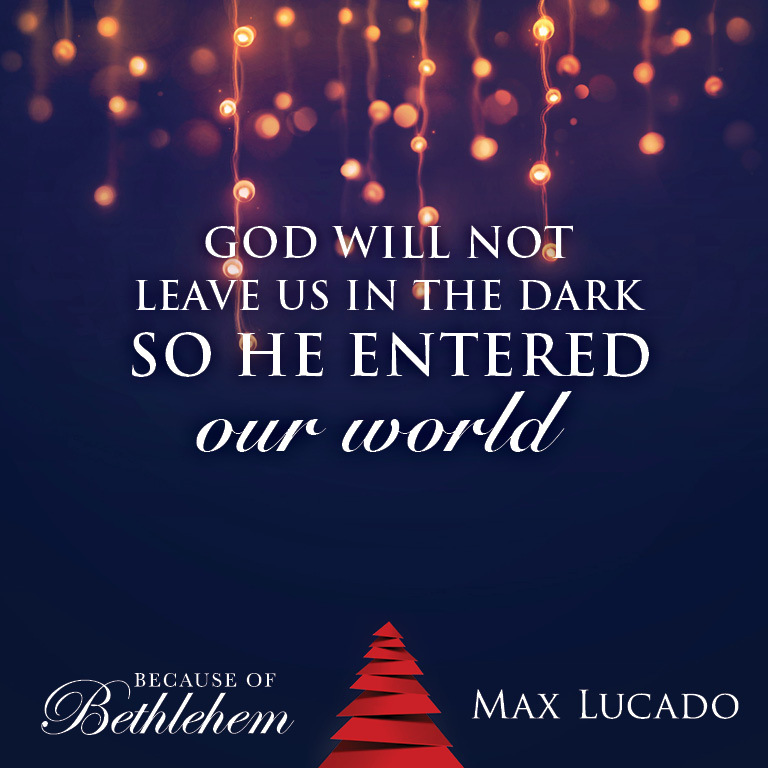 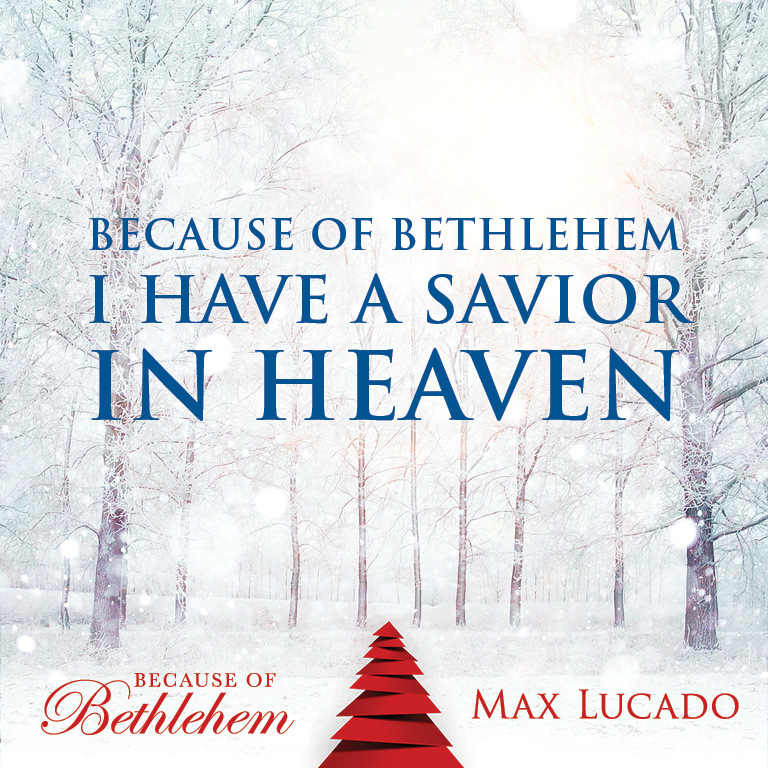 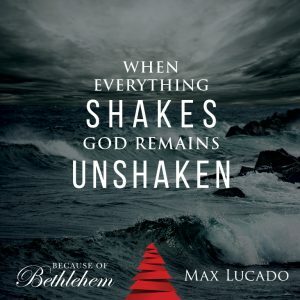 In this four-session video-based study, bestselling author Max Lucado reveals that because of Bethlehem, we have the promise that God is always near us, always for us, and always in us. 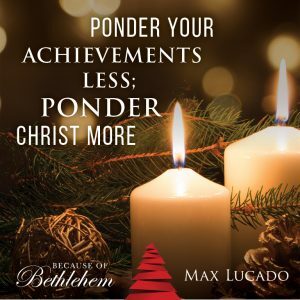 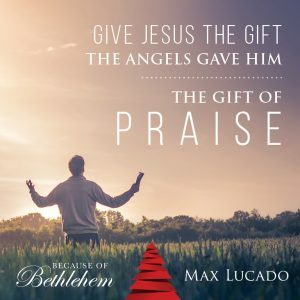 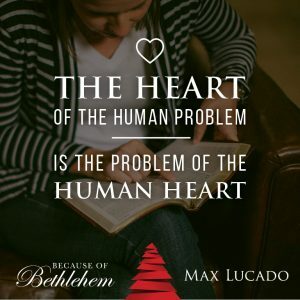 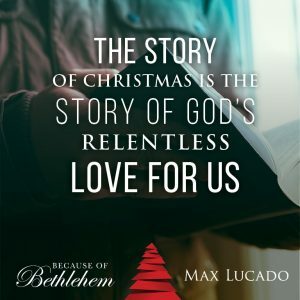 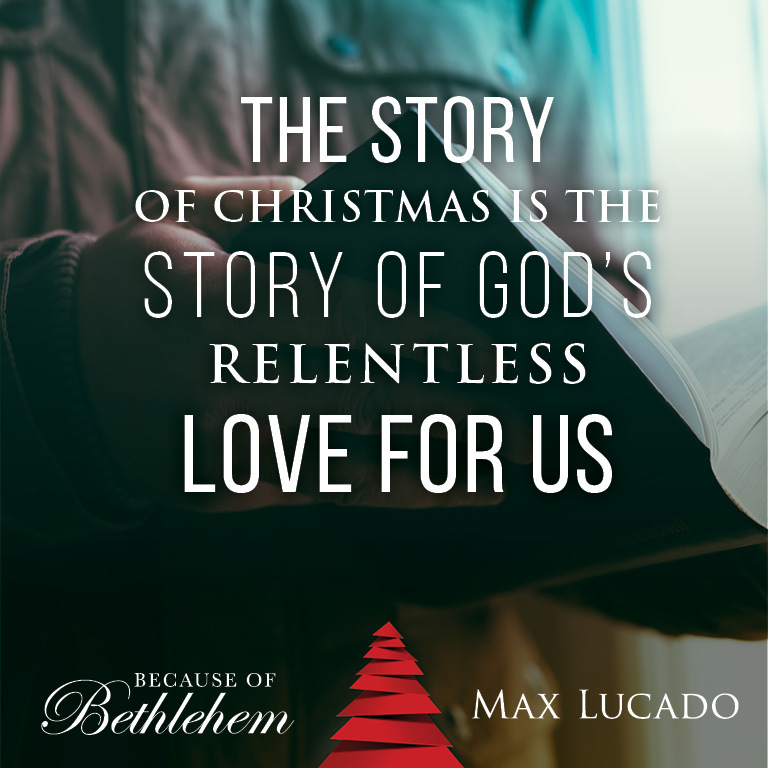 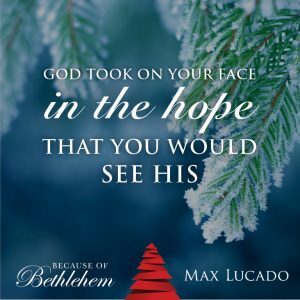 Max Lucado leads four video sessions that take small groups through Because of Bethlehem and the Advent season, a time of anticipation and celebration. 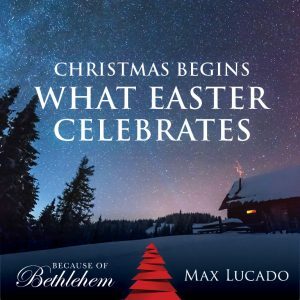 And the story of Easter continues what Christmas began. 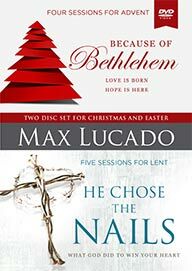 In five additional sessions, Max unpacks the promises of the cross in He Chose the Nails. 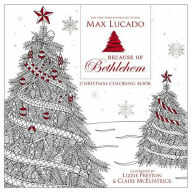 Put away your hectic Christmas to-do list and pick up some moments of peace with this beautiful, interactive adult coloring book. 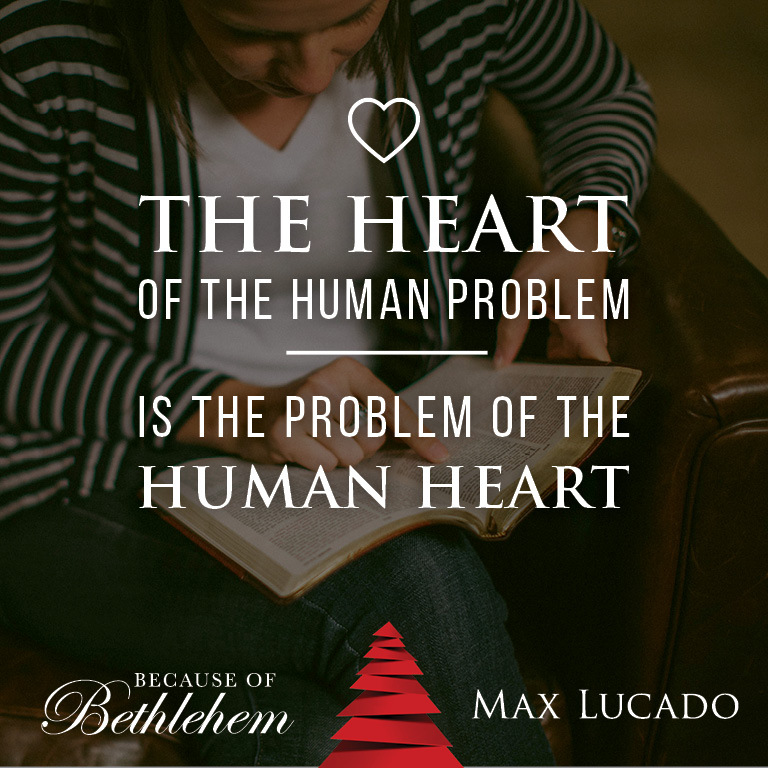 Enjoy hours of creative time and meditate on God's heart-shaping promises of Christmas. 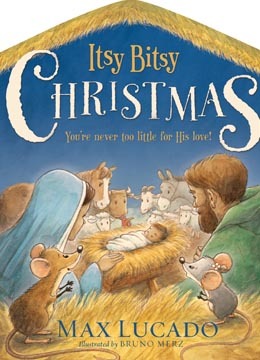 For kids who feel too small or too ordinary comes a Christmas story that reminds us that Christ the King has come for everyone. 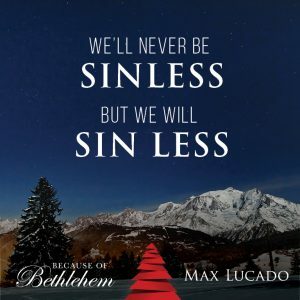 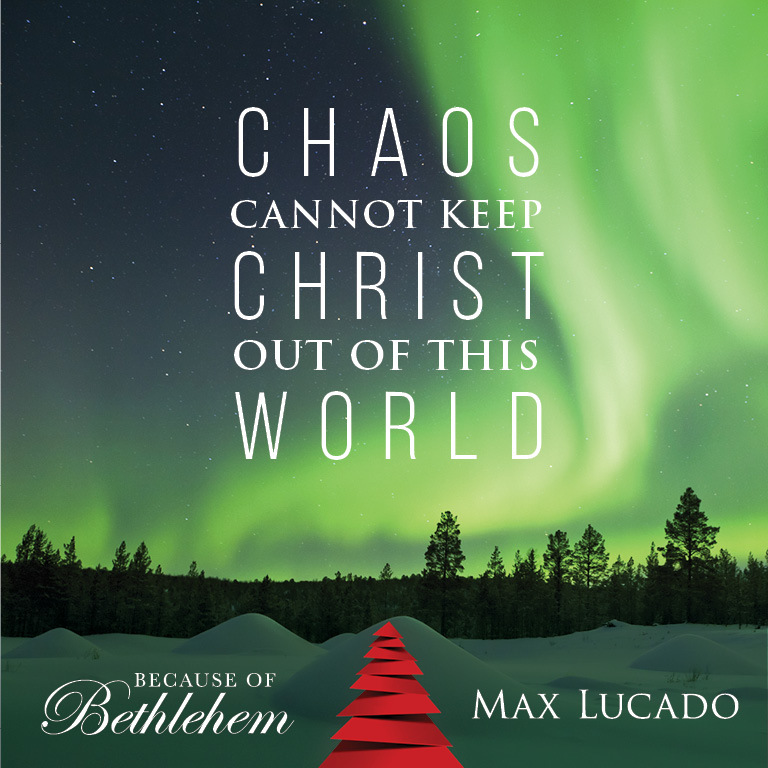 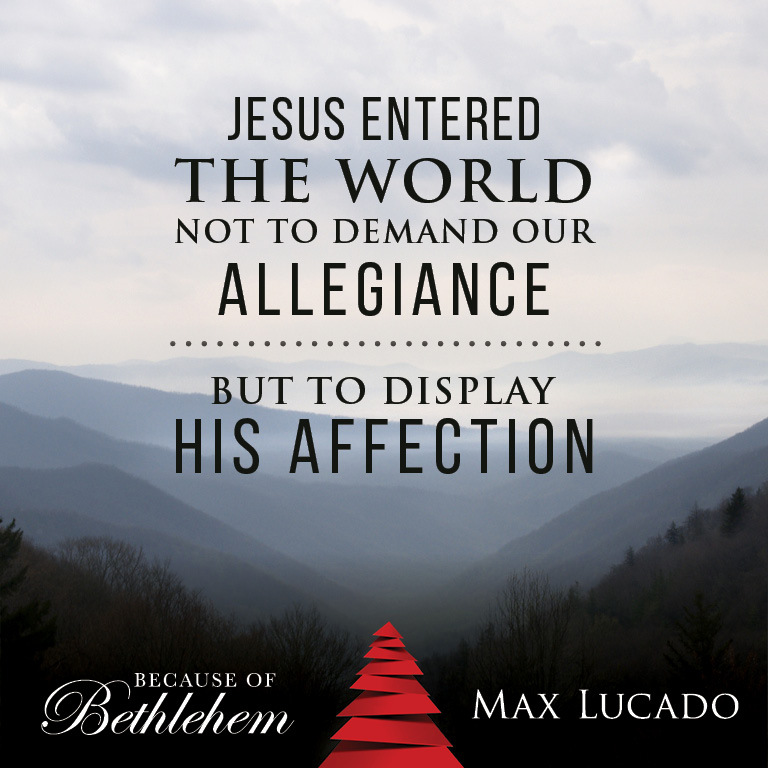 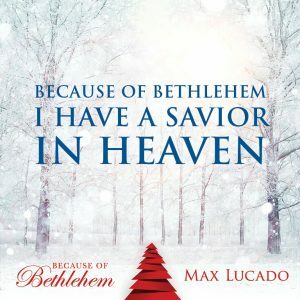 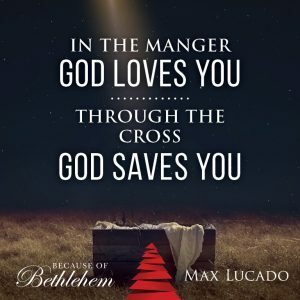 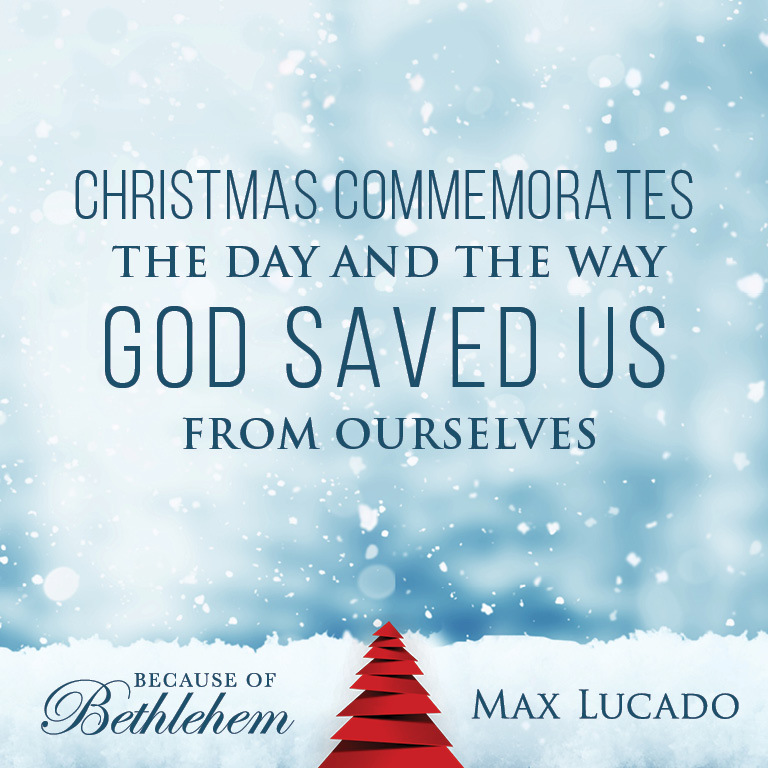 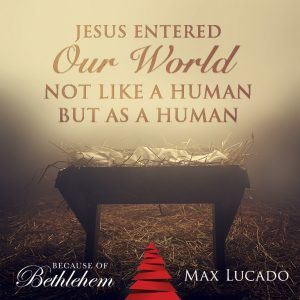 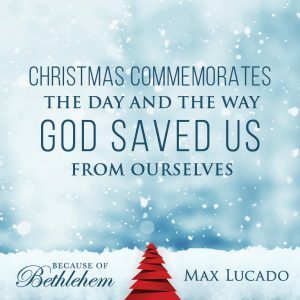 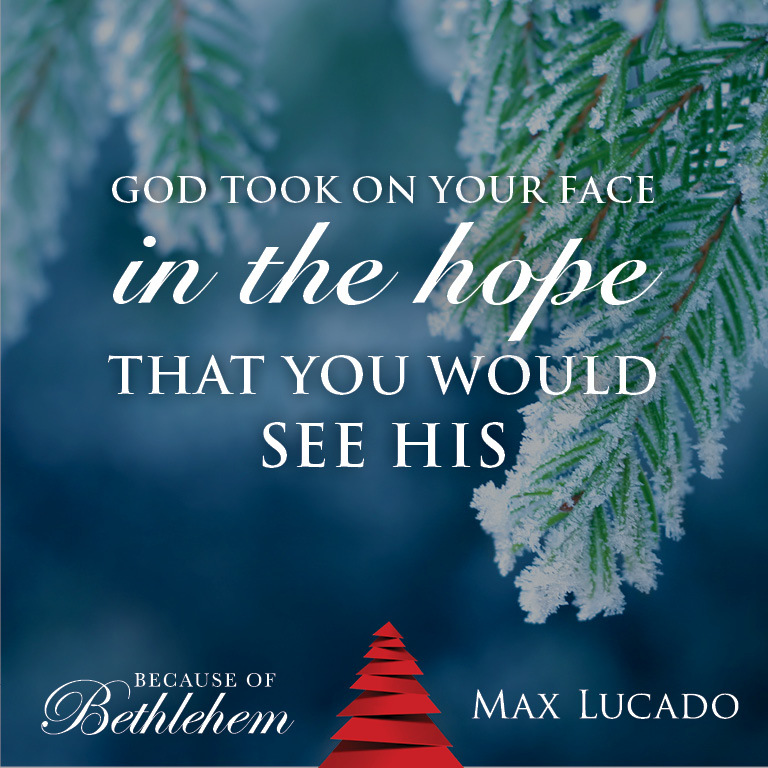 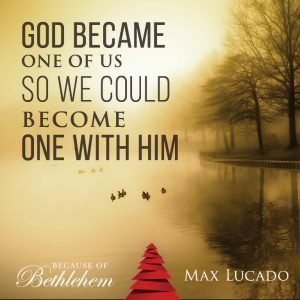 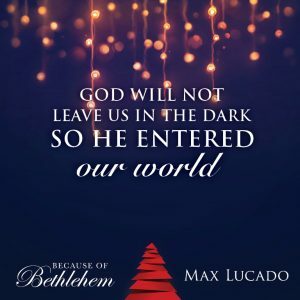 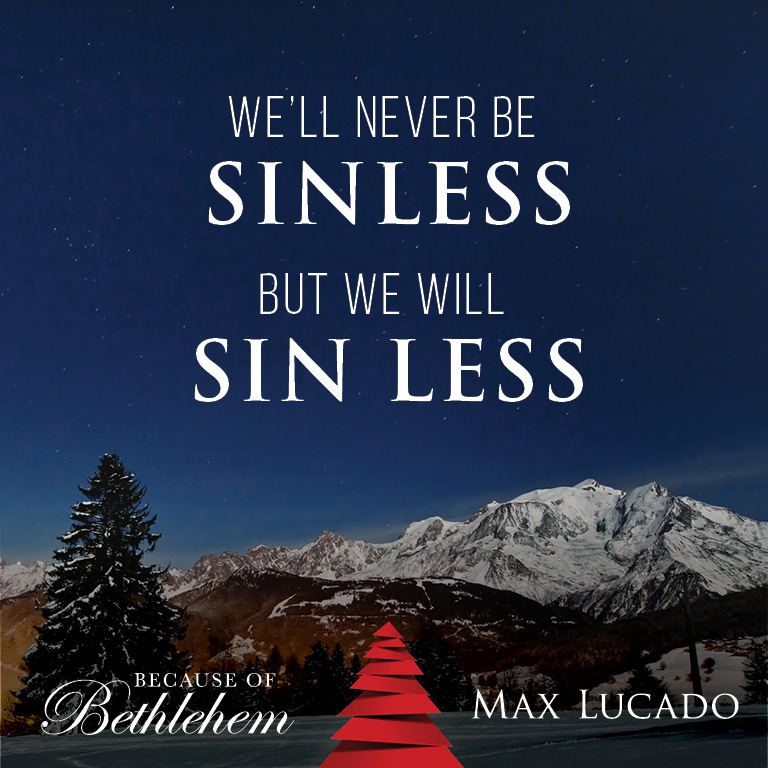 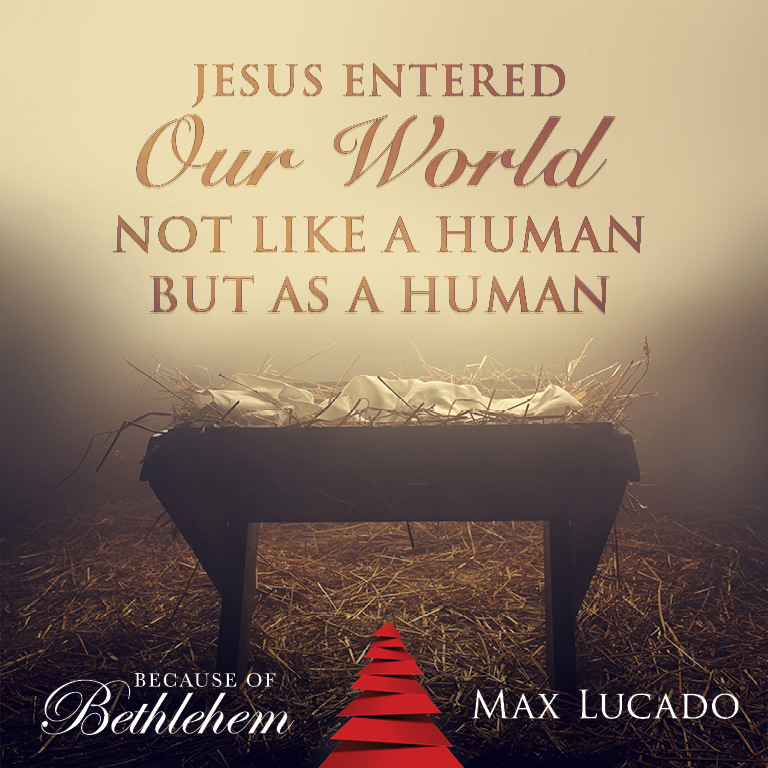 In Because of Bethlehem, a four-session video Bible study, Max Lucado explores how the One who made everything chose to make himself nothing and come into our world. 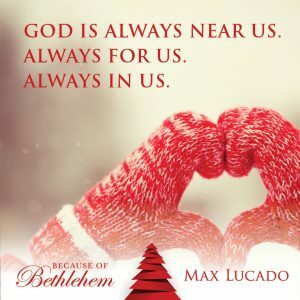 Jesus birth gives us the promise that God is always near us, always for us, and always within us and that we no longer need to have marks on our record. 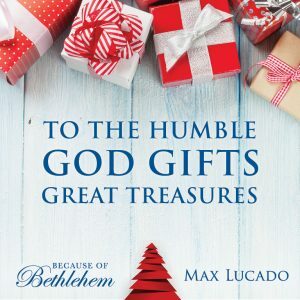 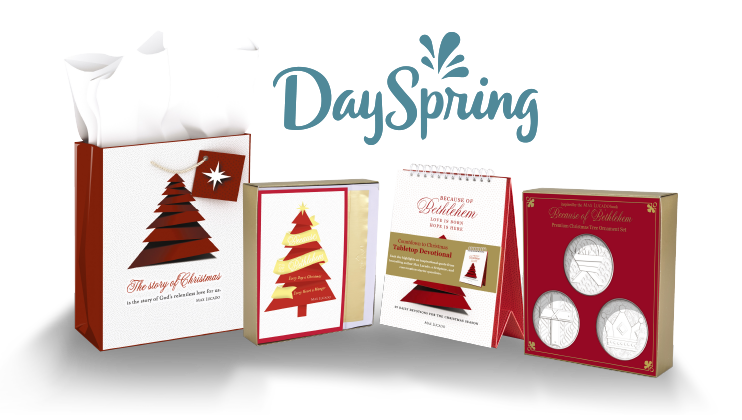 Share the joy of Christmas with your friends and family with Because of Bethlehem Christmas cards, Advent calendar, ornaments, and gift bags. 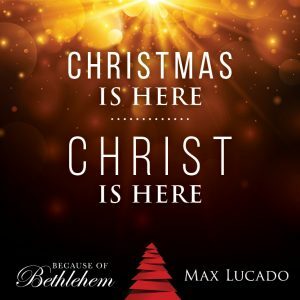 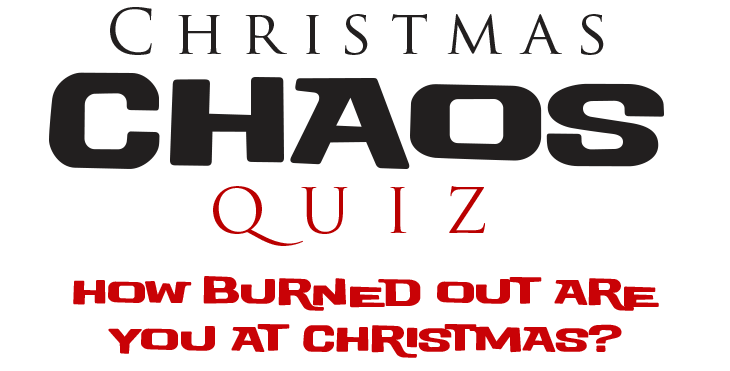 Change The Way Your Church Celebrates Christmas! 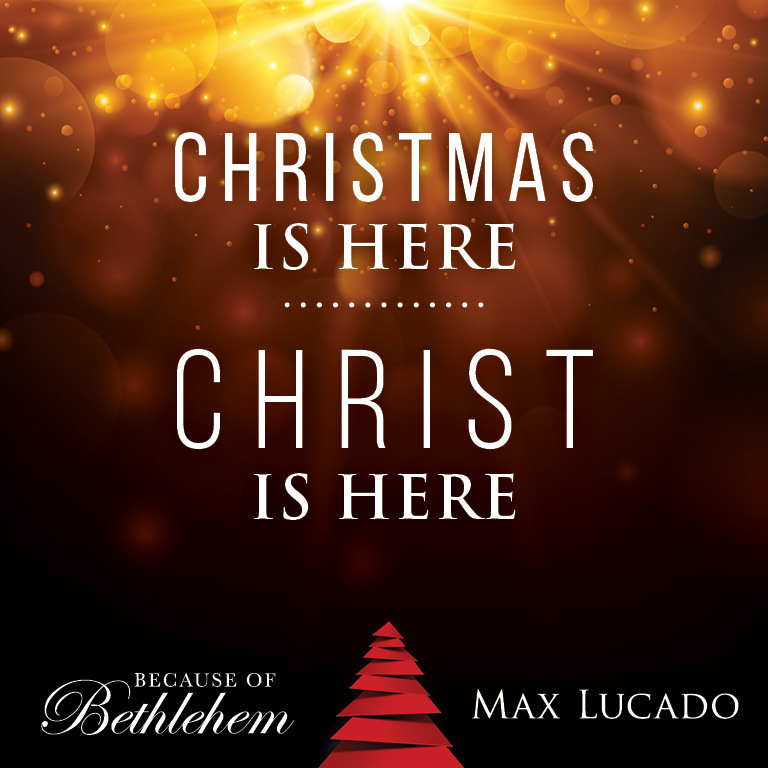 Engage everyone in your church and community – from the youngest to the oldest – with the Christ of Christmas this year! 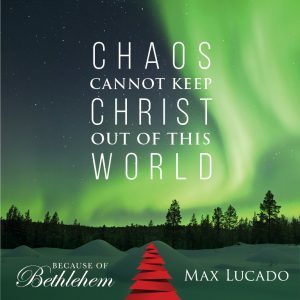 Click below to Learn more at ChurchSource.com! 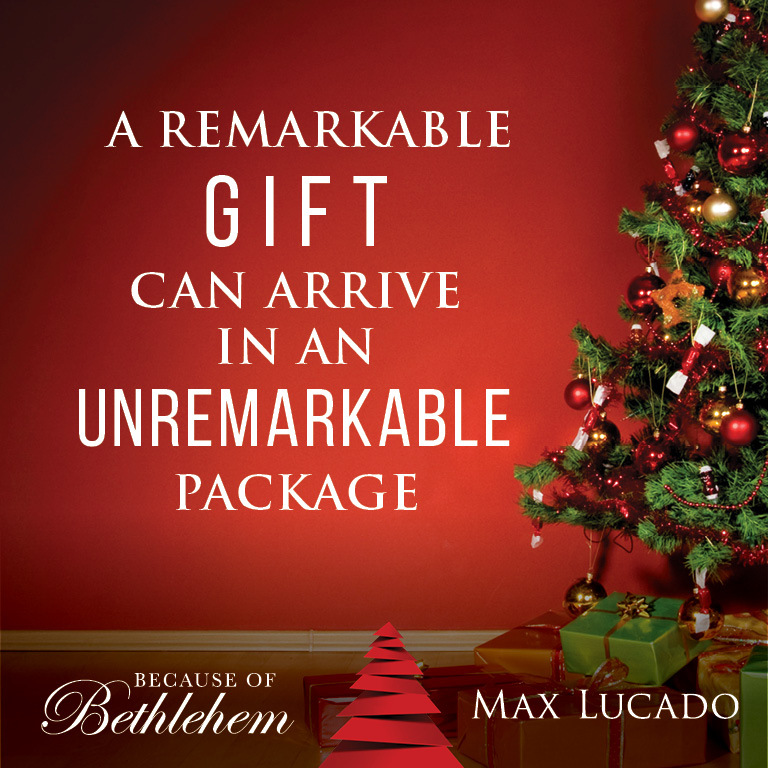 Max Lucado is a preacher with a storyteller's gift, a pastor's heart and a poet's pen. 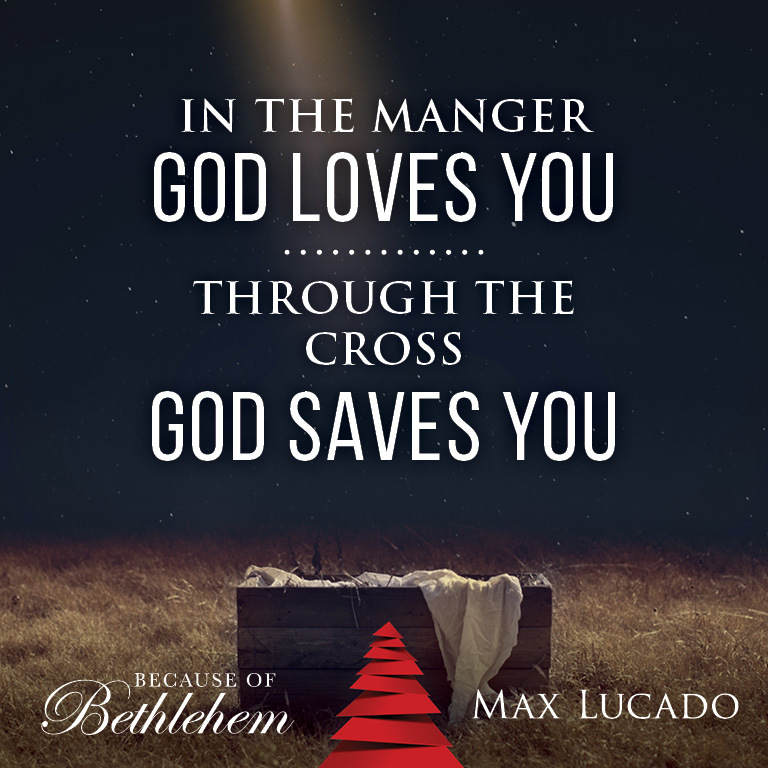 Max's message is simple: God loves you; let him. 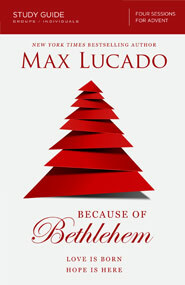 Max serves the people of Oak Hills Church in San Antonio, Texas, where he has been on staff since 1988. He preaches and writes to the hurting, the guilty, the lonely, the discouraged. 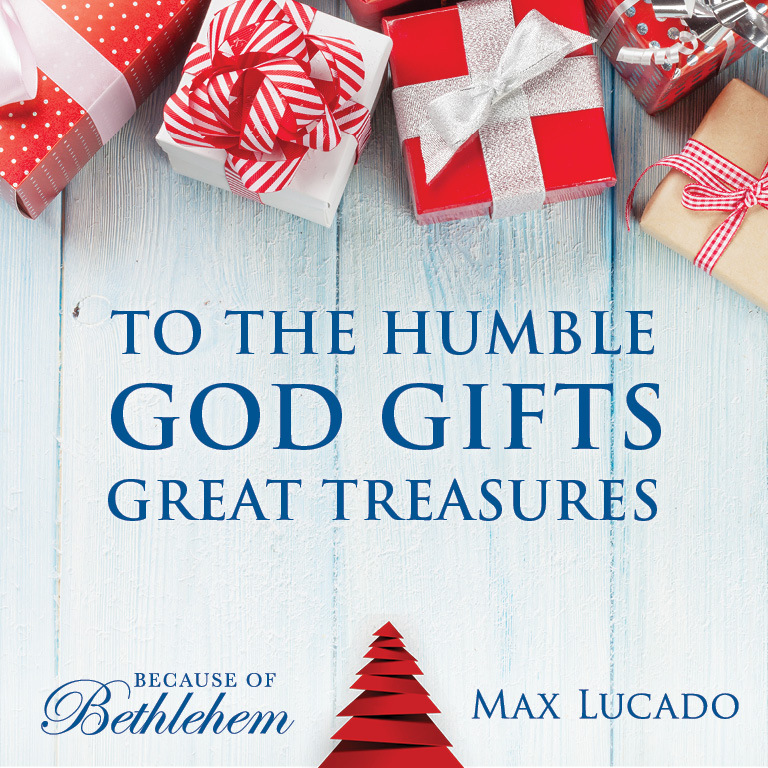 That message has traveled around the world in more than 54 languages via more than 120 million individual products. 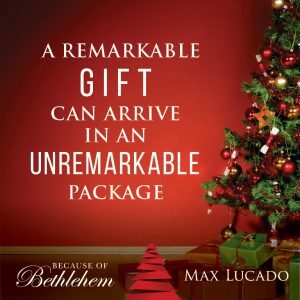 Most of these products are books (92 million), which have occupied spots on every major national bestseller list. 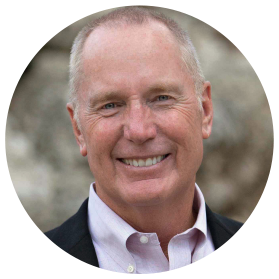 Over the years Max Lucado has been featured in countless national media outlets, dubbed "America's Pastor" by Reader's Digest, and named one of the most influential leaders in social media by The New York Times. 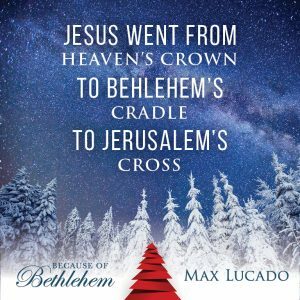 Max Lucado (pronounced Luh-KAY-dough) was born in a small West Texas town, the youngest son of an oil field mechanic and a nurse. 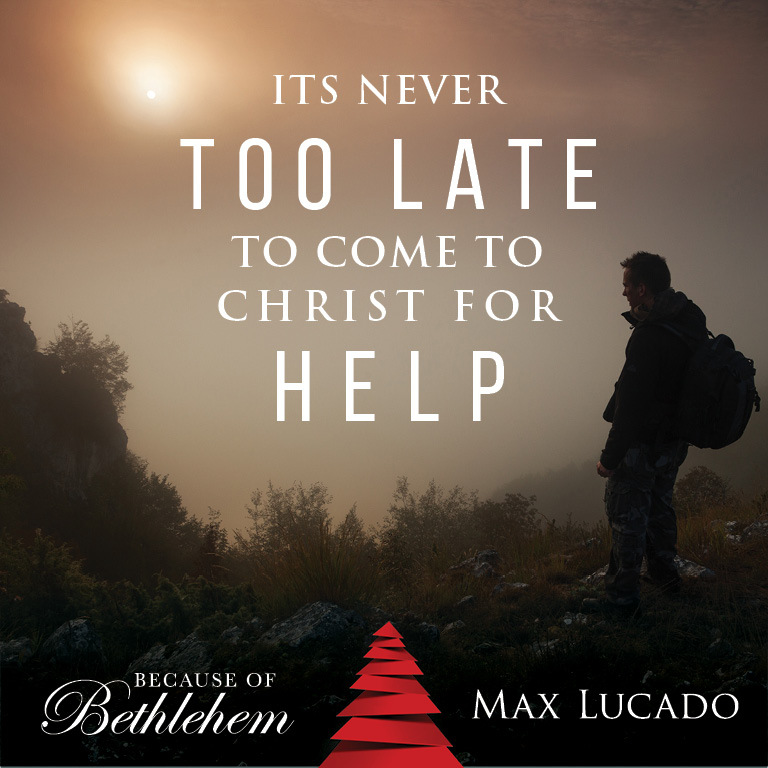 He grew up in church but took a different road as a teen, walking away from his parent's faith. 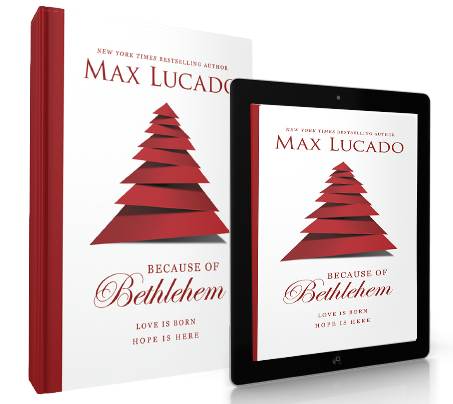 One summer night, after downing a six-pack of beer, Max began to wonder if there wasn't more to life than parties and chasing girls. 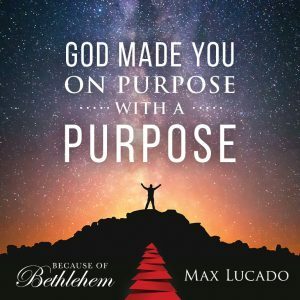 Not long afterward, a Bible class at nearby Abilene Christian University stirred his heart again, drawing the young student into the unconditional love of God. 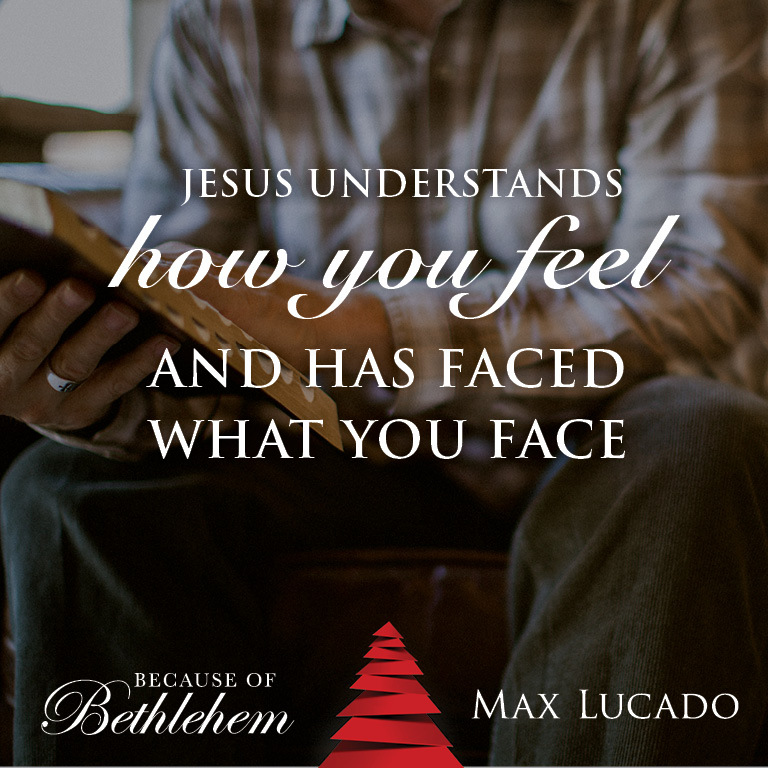 Max left West Texas with a master's degree in Biblical Studies and a deep desire to share God's love and mercy with others. 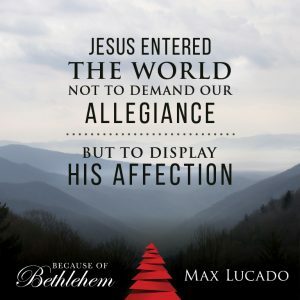 As associate pastor of a small church in Miami, Florida, he wrote a column in the weekly church newsletter. 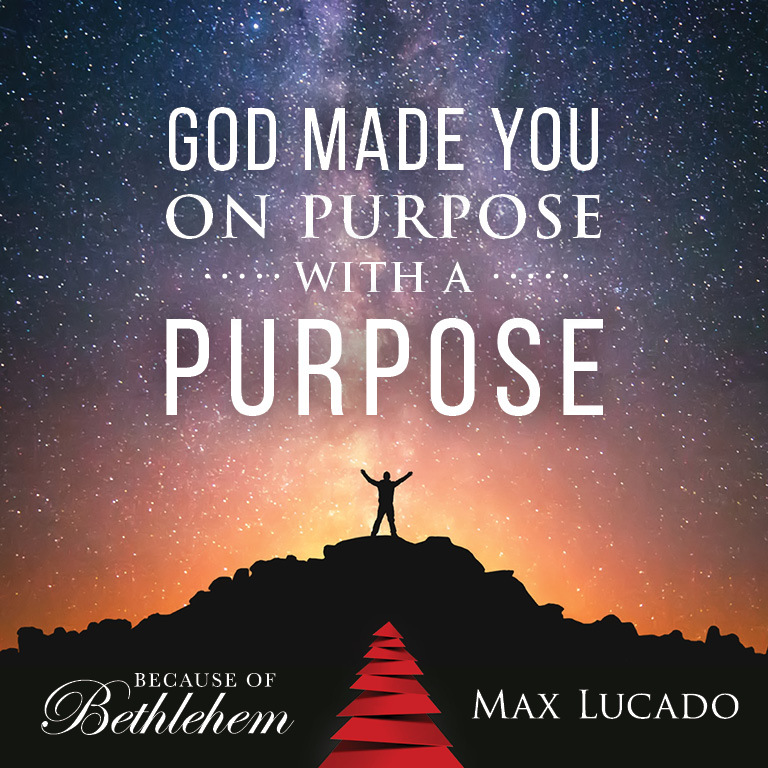 That writing experience ignited a powerful synergy between his passion for people, pastoral ministry, and writing. 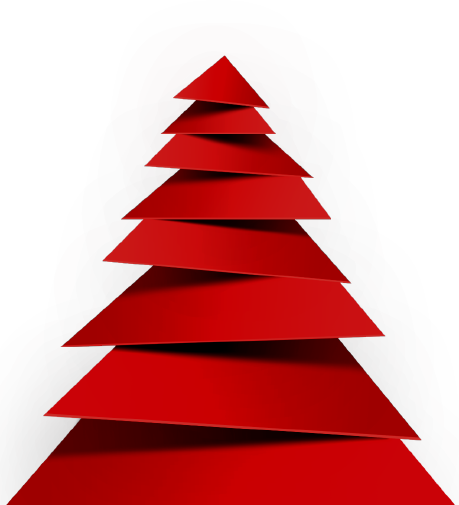 He also married Denalyn, now his wife of more than three decades. 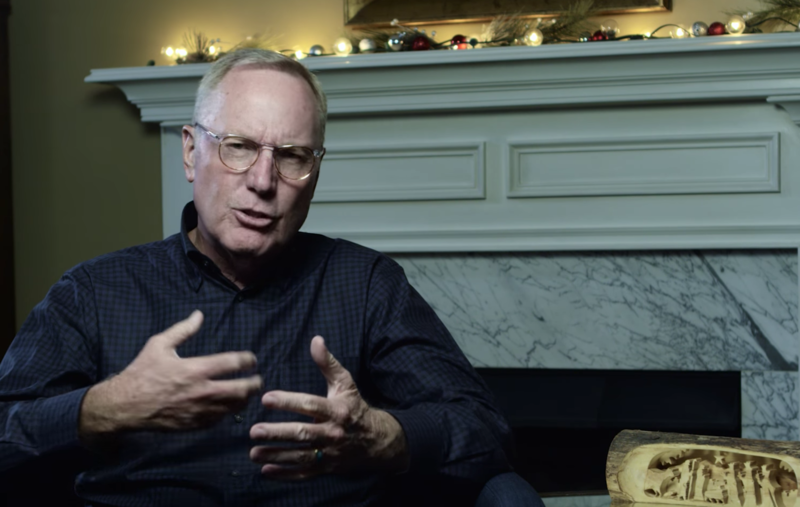 In 1983 Max and Denalyn moved to Rio de Janeiro to help plant churches. 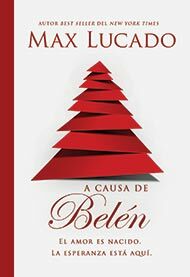 During their five years in Brazil, Max continued to write, updating friends and family about their ministry. 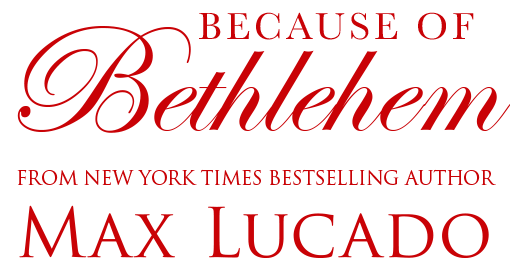 Eventually Max gathered those newsletters into a manuscript and sent them off to fifteen publishers.  One publisher said yes. 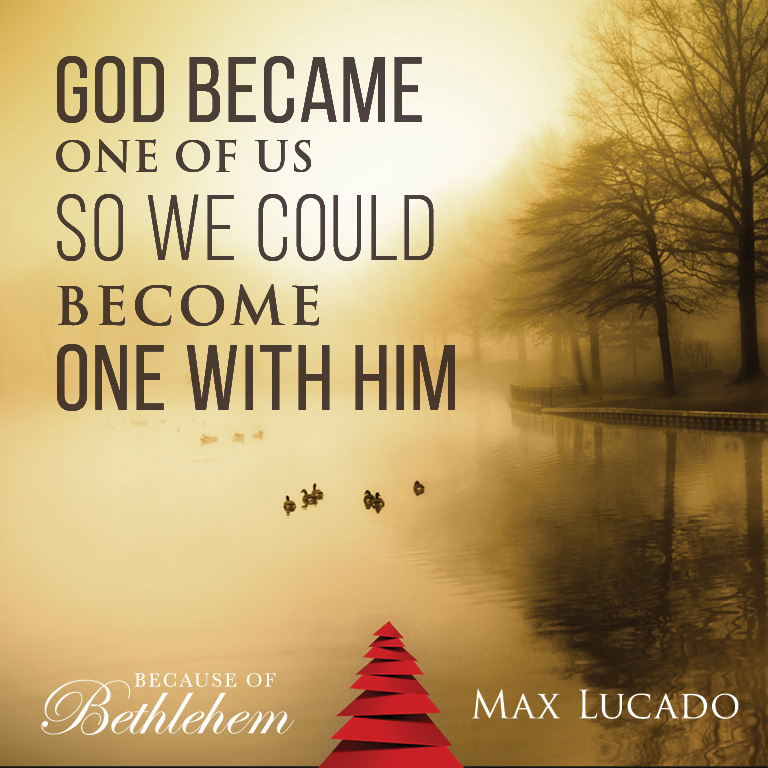 Max Lucado's first book, On the Anvil, was published in 1985. 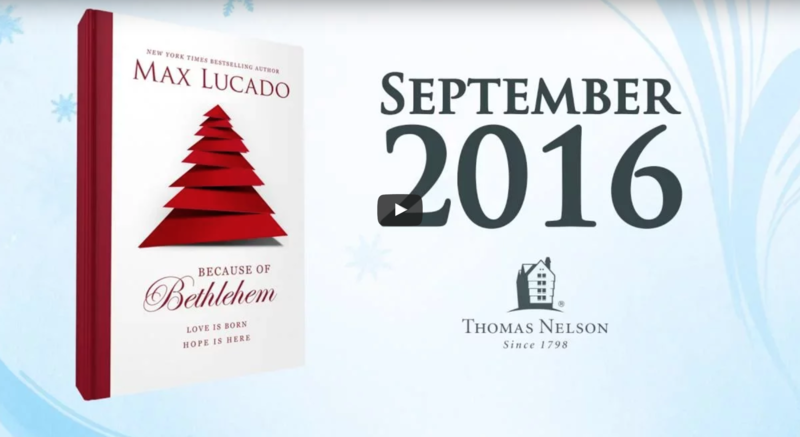 His 32nd book, Glory Days: Living Your Promised Land Life Now (September 2015), offers insight into living a "full throttle" life. 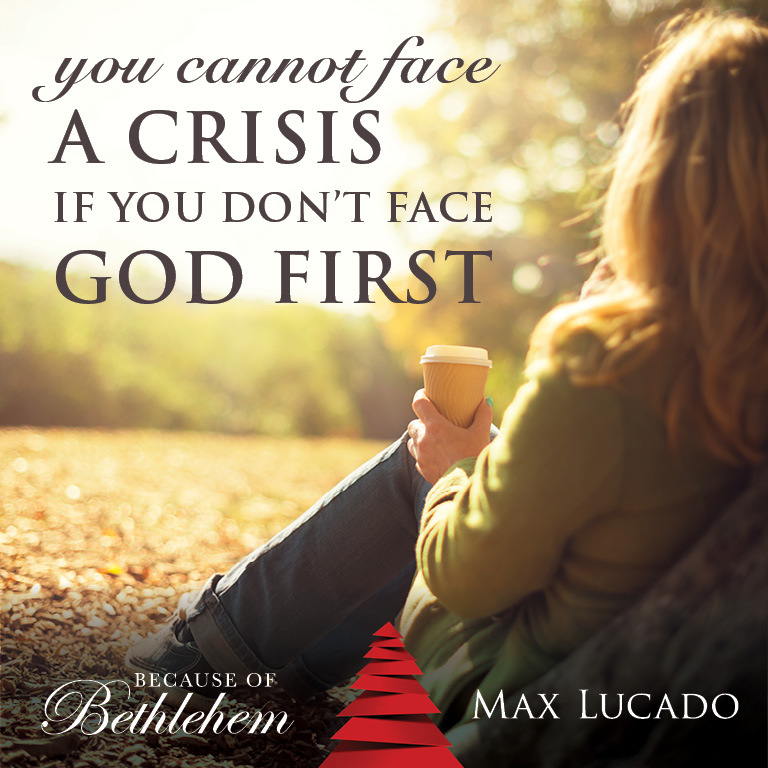 "With God's help you can close the gap between the person you are and the person you want to be," writes Max.